Tasha & Sweetie photos & remembrances courtesy of Paul and Mary Ellen Therriault, Glendon's Racing Kennel, Oxford, ME. Previously published 2003, copyright 2017 Intervale Chinooks. Thanks to Ivan Edwards for our visits with Timba, Timba's family, and for all the great photo opportunities! Northdown and Glendon's kennels believed that several of the Chinooks born in the 1980's had genetic problems and other health issues. They were aware of litters previously born with high mortality rates and with sickly pups. The modern Chinook stock comes from just 11 dogs placed in breeding programs in 1981 with many of those dogs closely related - these two kennels saw a potential genetic bottleneck that put the breed in jeopardy. The two kennels decided to try out-crossing Chinooks with dogs of similar type to what they felt the Chinook should be, and hoped to help bring back the Chinook to full health while improving the sledding abilities of the breed. Paul remembers that except for her coat color, Glendon's Tasha resembled Chinooks found in photos from the 1940's and 50's. 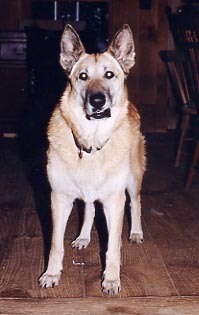 Tasha was a beautiful, big-boned, Shepherd-Malamute cross, weighing between 70-75 pounds. 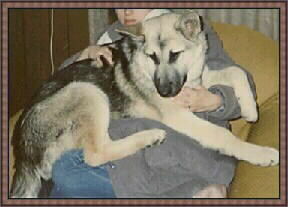 Her sire was a 90 pound gray and white Alaskan Malamute and her dam was a 60 pound silver sable German Shepherd. Tasha was bred to purebred Chinook Singing Woods Muskeg in the summer of 1987 and thus began the official cross-breeding of Chinooks at Northdown Kennel. 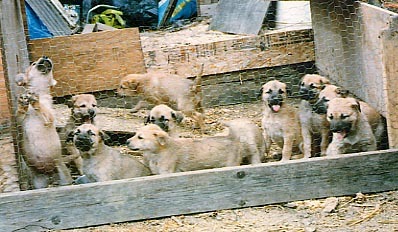 Pups from the Tasha - Muskeg breeding looked just like purebred Chinook dogs. 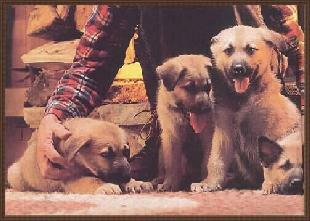 Photos of these puppies appeared in the December 1987 issue of Down East Magazine that featured the Chinook. Those that met the pups often thought they were purebred Chinooks. Northdown Timba, a female from Glendon's Tasha's litter with Muskeg (see pup photo above), continued Tasha's line. 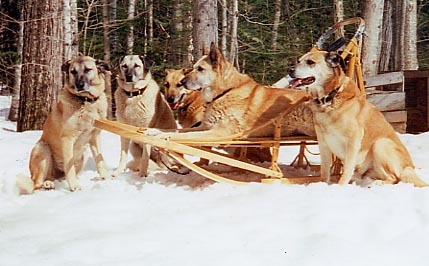 Harry Gray took several of his Chinooks to Alaska and in April of 1989, Timba was one of three Northdown females who whelped litters within the same week. Two of the dams were Chinook-crosses - Yokayo Cassie (Mckinley's littermate) and Northdown Timba, and the third was purebred Victor's Nikiska. 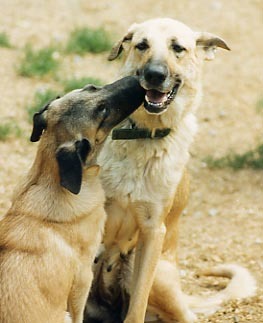 The sires of these litters were never determined as breedings were accidental and unwitnessed, with multiple males, purebred and otherwise, available. To compound the parentage issues, the litters were raised together. DNA parent verification was recommended by the United Kennel Club to try to sort out parentage. 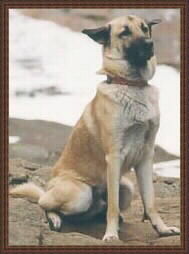 In 2000, the United Kennel Club with Celera AgGen, DNA parent tested Northdown Nugget, a female believed to be from the Alaskan litters, whose pedigree listed the purebred Chinooks Northwind Nome and Victor's Nikiska as her parents. 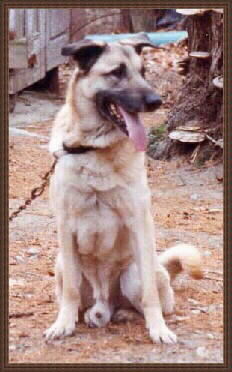 Nome and Nikiska were ruled out, but Northdown Timba, the Chinook-Mal-GSD cross, matched Nugget's DNA at 17 of 17 DNA systems tested, indicating that Timba was indeed Nugget's true dam. Maine bred Edward's Kennel offspring Houdini, Tahina, Napana, and their sire, Tolimar. Tolimar looked like a Chinook but had no Chinook blood. Timba shared Tasha's lazy mushing work ethic but produced some handsome pups! Frisco looks a lot like Hoodini! Nugget whelped three litters, and her offspring - Perry Greene Seanook, Perry Greene Natansis of Tullibardine, and Perry Greene Colby of Victor's Kennel, each have had offspring, and these lines found in the modern day Chinook continue Glendon's Tasha's legacy.